Will you be doing any online shopping as the holidays wrap up? How about just regular shopping during the next few months? Ebates is a great free website to utilize to earn extra cash from your online purchases. 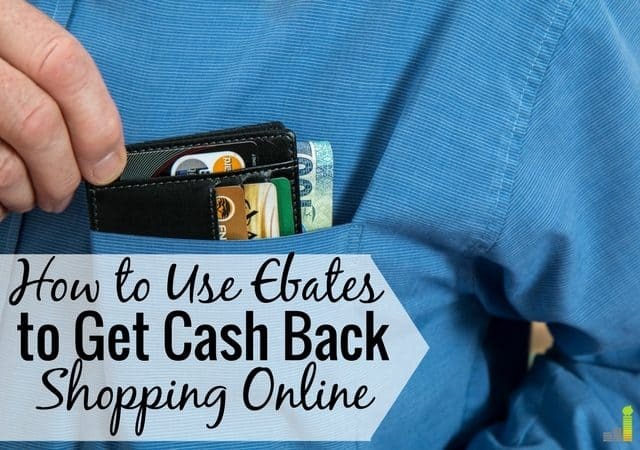 If you’ve never heard of the cash back online shopping rewards site, this Ebates review will show you how to use it to save money on your online purchases. I don’t know about you but if someone wants to pay me to shop online, I’ll gladly take them up on their offer! Most of us do at least some form of online shopping (and some of us didn’t even have to leave the couch to snag our Black Friday deals – am I right? ), so why not make a little something on the side while doing it. Ebates makes it easy to do things like save money on Amazon and earn a little extra money on the side. 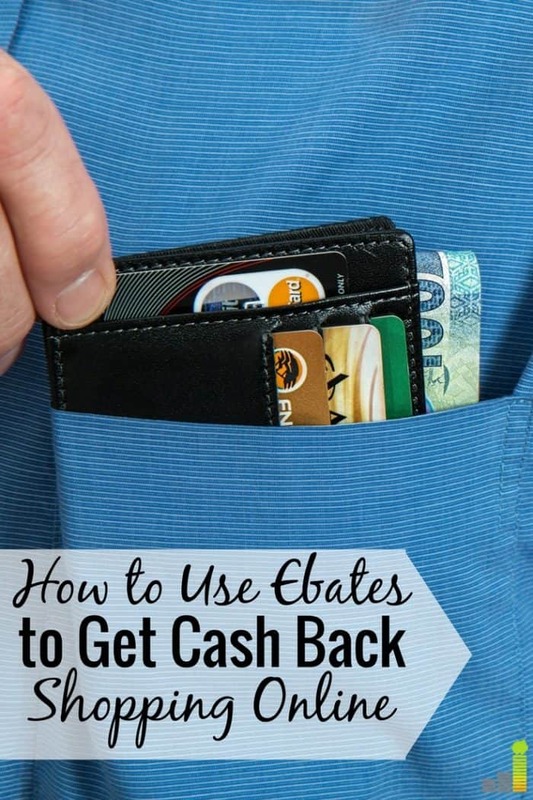 Ebates is a popular website that offers coupons and cash back when you shop online. Signing up for an account is free and you can shop online at more than 2,000 different stores to earn cash back or get access to more than 10,000 different coupons that save you money. What I love about Ebates is that their cash back offers are really good and often beat out those offers made by most credit cards. However, you may need to make purchases in certain product categories in order to receive the maximum amount of cash back. For example, if you’re shopping on Amazon and need new luggage or would like to purchase it as a gift for someone else, you can earn 5.5 percent cash back on those items right now, which is still pretty good. 1. Sign up for a free account. New members receive a $10 gift card to a store of their choice once they make their first purchase through Ebates. 2. Once you sign in, use the search bar at the top to look for the retailer you want to make a purchase from. 3. Once you find your store and review the cash back offer(s), click the ‘Shop Now’ button. This will redirect you to the website and a tracking ticket will be created for you. At this point, you’ll be able to shop online as you normally do and complete your purchase from the selected store within 30 days. 4. Once you make a purchase, the cash back offer will be automatically credited to your Ebates account. Cash back rewards are usually credited to your account within 48 hours. Be mindful that some stores can’t confirm your purchase until the return period has elapsed so it may take up to 30 days to confirm and allow your cash back credit to come through. In order to receive your cash payment from Ebates, you must have a cash back balance of at least $5.01. There are a few different ways to receive your payment. You can receive what Ebates refers to as a ‘Big Fat Check’ which is mailed to your home address (Ebates takes care of all the mailing fees). You can also receive your payment via PayPal or request to have it sent to a friend, charity or family member. You can change your payment preferences by going to the ‘Account Setting’ section while logged into your account. *Please Note: If you’re donating your cash back to a charity, it’s your sole responsibility to document donations for tax purposes. While earning cash back for regular online purchases already sounds like a great deal, there are a few other ways to maximize your Ebates rewards. For starters, you can combine it with the coupons offered on Ebates. Ebates will always let you know if the store you want to shop at has any coupons that you can use to save money on your purchase. Then you still earn cash back on the money you spend with that retailer. For example, if you want to buy a pair of shoes at a store and Ebates is offering 3 percent cash back, you’ll see that the store is also offering 20 percent off all orders and free shipping for orders over $25. Ebates will provide you with the coupon code to use upon checkout along with the expiration date for the offer so you can use it at your convenience. Another way to maximize your earnings is to use a rewards credit card if you have one. Ebates doesn’t specify how you need to pay for your purchases so if you have a credit card that offers cash back and rewards for certain purchases you can use it right along with Ebates to earn extra rewards on top of the rewards you’re already getting from Ebates. While this is strategic, it’s not worth spending money you don’t have to buy something you want – even if you’re getting a great deal. Always remember to pay off your credit card balance in full each month to avoid carrying a balance and paying interest on your purchases. There’s no quicker way to wipe out a rewards saving than by carrying the purchase on your credit card for a month. Finally, there’s one more way to maximize the rewards you can earn from Ebates. If you like Ebates and know some people who might benefit from using it, you can refer them and earn $25. 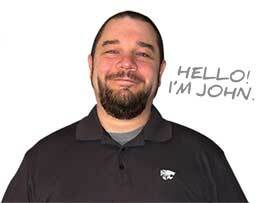 Pro: Earn cash back on online purchases you would normally make. Con: Cash back varies based on the product category and may not apply to any purchase made on the retailer’s site. For example, you may not earn the same amount of cash back from purchasing children’s toys on Amazon as you would by purchasing luggage. Pro: Maximize your rewards by stacking them with coupons. Con: Quarterly payments. It would be nicer if Ebates sent payments more often than once a quarter. Pro: It’s easy to earn. Unlike other rewards websites, there are no crazy hoops to jump through in order to earn money with Ebates. 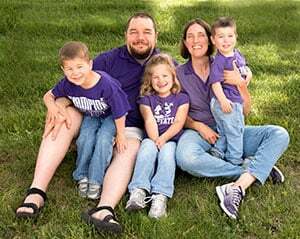 Plus, it’s easy to get started .You can even download the Ebates extension for your browser’s toolbar so you can connect to Ebates seamlessly when shopping online. Con: You could lose your cash back if you have to exchange a purchase. Ebates is not a website that is going to make you rich and I wouldn’t even consider trying to make Ebates out to be a regular side hustle. However, it is a convenient and low-effort way to earn cash back on purchases you’d probably make anyway. If you’re not a big fan of credit cards, you can still earn cash back from shopping online with Ebates, which is also a plus. Another huge benefit of using Ebates are the coupons. Whenever I shop online, I try to search for valid coupons I can use to apply to my purchases to save money. Sometimes I find outdated coupon codes or sketchy websites that I’m not sure if I can trust. It’s pretty nice that you can save a few dollars thanks to Ebates’ coupon function. Ebates is a good option if you regularly shop online for various items. 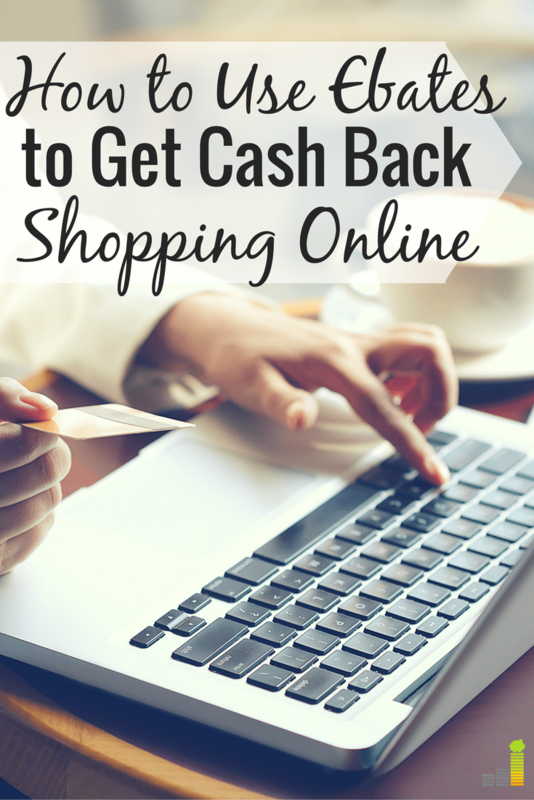 It’s not a good idea to shop online just to earn cash back rewards. The amount of cash back you earn is only a small fraction of the money you spend to make a purchase so it wouldn’t be worth it. All in all, it’s free to sign up and convenient to use whenever you’re ready so you really don’t have anything to lose. How often do you shop online? Do you think the pros of using Ebates outweigh the cons? How do you save money or find deals when you shop online? What’s the best deal you’ve scored on an online shopping purchase? Do you consider yourself an extreme couponer? Why or why not? I LOVE Ebates! The other day I forgot to use it and made a big purchase for a gift for someone. I’m still regretting it, haha! Oh no! There’s always next time. Make sure you add the extension to your browser if you use Google Chrome a lot because it’s easier to activate Ebates that way. Ugh I always forget to log into eBates! I need to make a habit of it! You can install a button/extension to your browser to activate Ebates quickly. I use Google Chrome all the time but I’m not sure if you’re able to do this on other sites: https://www.ebates.com/button.htm Basically, it keeps me logged in on Ebates and when I go to a site to shop online a little notification from Ebates pops up so I can earn cash back on any purchases I might make. I’ve heard of Ebates but never used it before. I like that the payout threshold is only $5.01. Guess it’s time to give it a try! You should! If you’re already shopping online, you don’t have much to lose. I added the Ebates chrome extension to my browser. So it’s literally staring at me when I’m making a purchase online. So I almost never forget anymore. Plus it’s nice b/c the extension on most websites will pop open to let me know that it’s available. Exactly! That’s why I love the extension. So, what’s in it for Ebates? Are they collecting and selling a lot of personal information? Good question, I thought it was covered in the post but I’ll update it to reflect this. They get a commission for members they send to shop at various stores. They split that commission 50/50 with members.